A short one before I go on vacation! Jill knit the Conifer baby cardigan from Ella Austin. She used Gnarledpaw Yarns Happy Tweed in Blue Topaz as the main color and Koigu KPM in 2332 as the contrast color. Her Rav page is here. Jill is also making a pair of Lillebrors Vintersko by Heidi Petterson for the same baby in deep stash Anny Blatt Merinos in a muted magenta color. 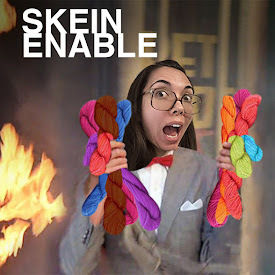 She is also still working on the Sizzle Pop triangular shawl by Lesley Anne Robinson in Hula Hut Yarns Tiki Sock in Huckleberry Chuckle and Midnight. Her Rav page here. 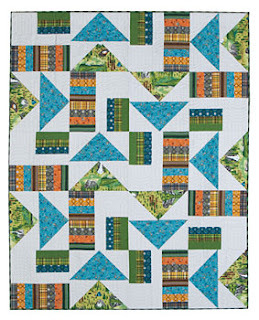 She cut the fabric for the Rugged Trail quilt kit from Connecting Threads. 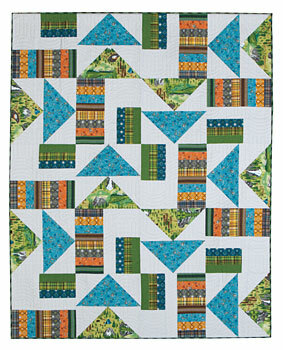 The pattern is by Mari Martin and the fabrics are Yosemite Park Flannel by Jenni Calo. Jill is into the Mint Leaves pullover by Joji Locatelli from the new Making no. 5 / COLOR magazine. She bought two shawl patterns by Melanie Berg, True Colors and 5190 Miles. She likes the crochet basket Levitt by Donna Yacino, from the Berrocco emails. She mentioned the Brea Bag by Norah Gaughan, knit out of Berrocco Suede. 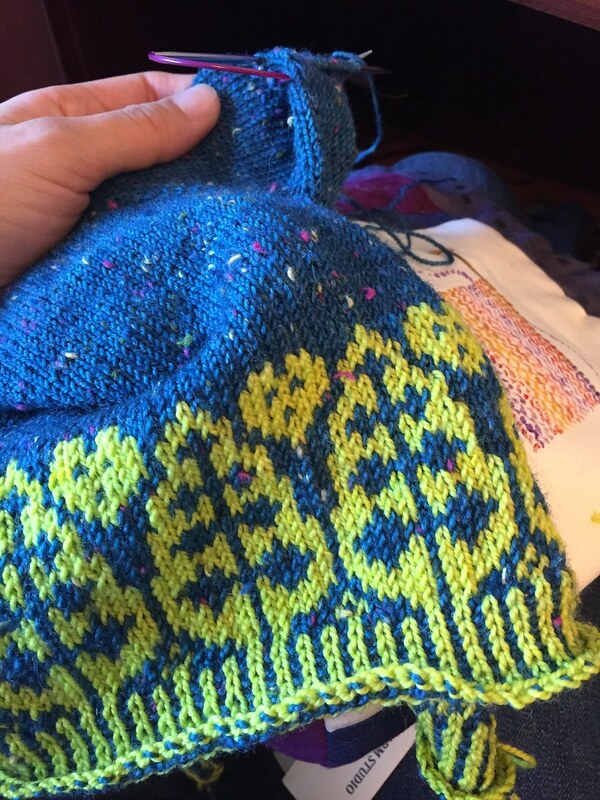 She's also into Lucette by Sandrine Bianco, a colorwork hat with cats, in French.